PengPod 700 & 1000 are two of the rare Linux tablets to be available on the market. Those tablets are based on AllWinner A10 SoC which can support both Android and Linux thanks to independent developers. After a successful Indiegogo campaign, where they managed to received pledges for a few hundred units of both model, people started to receive their Linux tablets earlier this year. 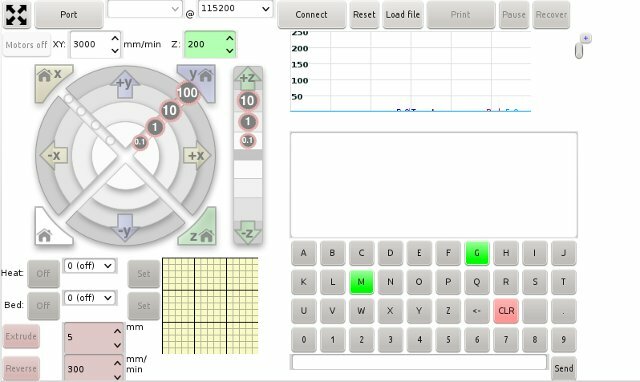 Francesco Santini decided to purchase PengPod 700 in order to use it as an touchscreen controller for his 3D printer (Solidoodle). 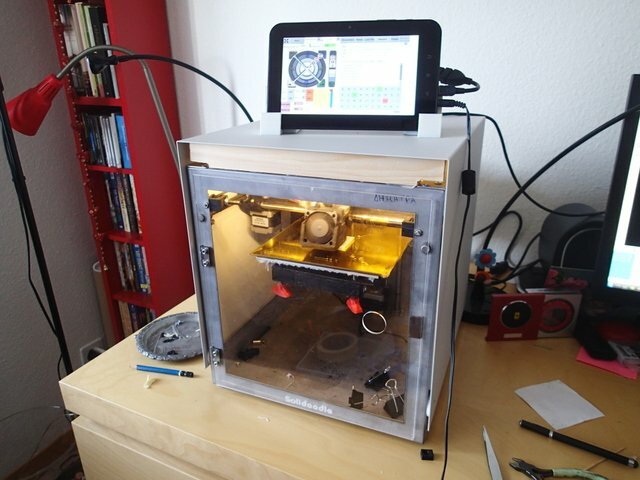 He modified Pronterface, a graphical user interface written in Python to control 3D printer, for the 7″ display the of PengPod tablet, and made the change available in his github account https://github.com/fsantini/Printrun-pengpod700. He uses a SAMBA share to copy G-code files (“G-code is the common name for the most widely used numerical control (NC) programming language”), and load the required file from the PengPod using the interface above. He also created the holders to mount the tablet on the printer, as seen in the picture at the top, and uploaded the design files to http://www.thingiverse.com/thing:69593, which can be good if you need a stand for your tablet, whether you have a 3D printer or not. You can find (or ask) more information on Soliforum.